CHAPRA ARPITA COMPUTER ACADEMY is located in Chapra West Bengal . CHAPRA ARPITA COMPUTER ACADEMY is registered as a Society at Kolkata of state West Bengal with Ngo unique registration ID 'WB/2010/0026251' . 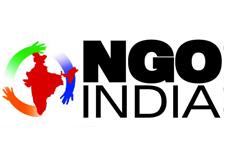 The NGO registration is done by Registrar of Societies with registration number S/1L 38168 on the date of 26-07-2006, Its parent ORganaisation is PaulFoundation. The Chairman of CHAPRA ARPITA COMPUTER ACADEMY is Suvojit Sarkar and Chief functionary officer is Kousik Biswas. We Started our work as a Computer Training Centre but in this moment we have two computer training centre in Nadia district one in Chapra, Nadia and other at Maliapota, Nadia. In the year 2009 we started a english medium co-education school named Little Flowers School at Putimari, Nadia for poor and needy rural children.